As promised, I will be spotlighting a whole lot of individuals in the Edo State political clime as we approach the electoral race in the last battle state in the Oil Rich South South. Edo State is of great interest to me in particular because 60% of my clientele are from Edo State and I visit Edo State just as much as I do Abuja in Nigeria. In our journey into the profiles of people of interest, let us begin with the Prominent Mr Godwin Obaseki. Mr. Godwin Obaseki was born in Benin City, Nigeria to the famous and illustrious Obaseki family. He had his early education in St. Matthews Anglican Primary School Benin City from where he proceeded to Eghosa Anglican Grammer School, Benin City for his secondary schoool eductaion. 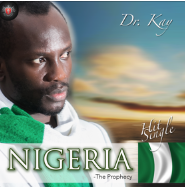 He attended the University of Ibadan where he obtained a BA in Classics. Mr. Obaseki attended the Columbia University and Pace University in New York and has an MBA in Finance and International Business. He is also a Fellow of the Chartered Institute of Stock Brokers, Nigeria and an alumnus of the Lagos Business School Chief Executive Program. He was nominated a Global Leader for Tomorrow (GLT) by the World Economic Forum in 2001. Godwin Obaseki began his career over 30 years ago and has established track records in Investment Banking, Asset Management, Securities Trading and the Public Sector both internationally and in Nigeria. He started out in 1983 with Capital Trust Brokers Limited Lagos as a stockbroker where he excelled and subsequently worked with International Merchant Bank (an affiliate of First Chicago Bank). In 1988 he joined AVC Funds Limited, Lagos where he served as a Project Manager and led the core team that set up two of the new generation banks which eventually reshaped the face of the banking industry in Nigeria. Between 1993 and 1995 he worked in New York as a principal of Equatorial Finance Co, a Financial Advisory firm with a focus on Africa and providing Structured Trade Finance for African related transactions through credit, financial advisory and risk insurance. Afrinvest is one of the most trusted advisory firms in the domestic corporate finance market, pioneering major innovations and providing leadership in the Nigerian Securities market. The Firm has advised on numerous landmark transactions including the first Eurobond Issue by a Sub-Saharan Africa Corporate (outside South Africa); the first ever simultaneous merger and tender offer transaction in Sub-Saharan Africa and the largest ever listing on the Nigerian Stock Exchange. Afrinvest has been ranked as a major Investment Research firm which is at the forefront of playing instrumental roles in the introduction of new financing products such as Eurobonds and Global Depository Receipts to Nigerian Companies. 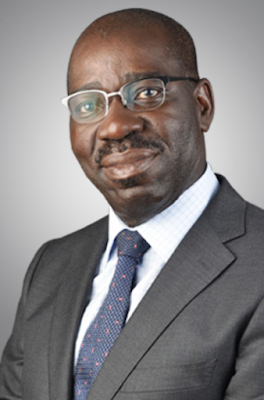 Mr. Obaseki is presently the Chairman of the Board of Directors of the firm which won the Best Asset Management Firm in Nigeria (2014) Award by the Wealth & Finance International Magazine Finance Awards. Mr.Godwin Obaseki currently serves as the Chairman of the Edo State Government's Economic and Strategy Team (EST), a position he has held since March 17, 2009 Pro bono publico. - Successfully hosted Sector based Economic Summits and Policy Dialogue Series including the Power Round Table in 2010, 2011 Education Round Table and 2012 Agribusiness Round Table. Education Reforms which have translated to significant improvement in Educational Infrastructure and student performance in WAEC and other Exams. Professionally, Mr. Obaseki has served on the Presidential Committee on the Reform of the Nigerian Pension System. He also served on the Nigerian Securities and Exchange Commission Committee on the Re-activation of the Nigerian Bond Market and the review of the Investment and Securities Act. He served as a member of the Nigerian Stock Exchange Council between 2006 and 2009. He also serves on the board of some companies such as Dorman Long Engineering Limited, Pillar Oil Limited, Seric Impianti International Limited. He was the founding secretary of a New York based US Africa Chamber of Commerce in 1992, which promoted US organisations doing business in Africa. 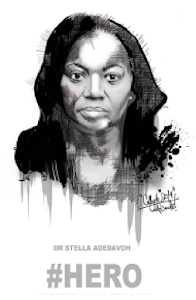 He was a Director in Junior Achievement of Nigeria - the local affiliate of the worldwide Not for Profit organisation which trains students to appreciate market economy values. He also participates actively and serves as Trustee, in the Dr. Jackson Owen Obaseki Foundation, a family owned NGO which is involved in providing free educational and health services to the less privileged.